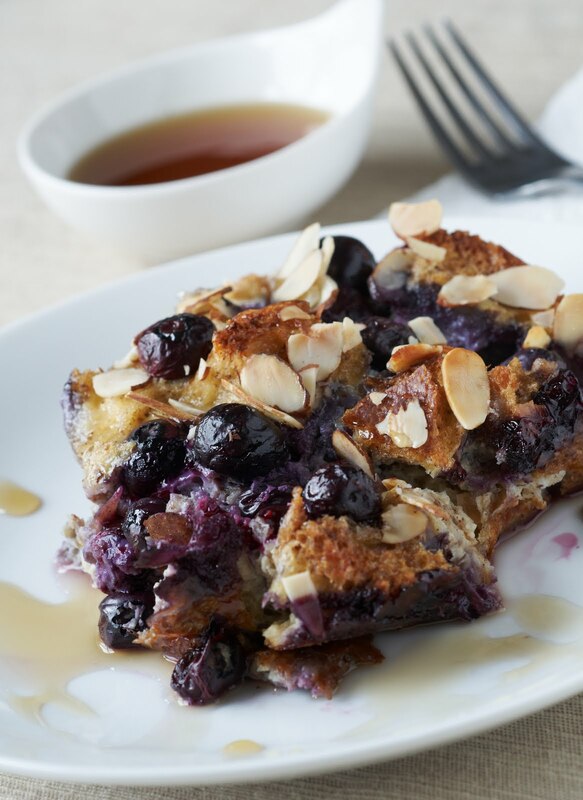 An oven pancake could be made with any number of fruits – try sauteing sturdier fruits such as apples or pears first in canola oil, then pouring the batter overtop and baking. Adapted from CanolaInfo. 1. Position rack in middle of oven and preheat to 400 °F. 2. In an ovenproof 10-inch skillet, warm oil over medium-high heat. 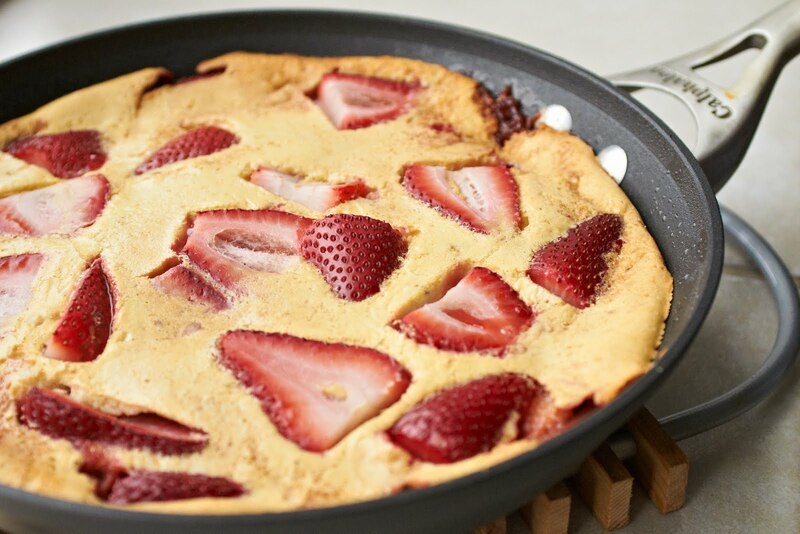 Tilt pan to coat bottom and sides with oil, then add 1 cup of the strawberries. Sauté about 30 seconds, until fruit is glistening, then stir in 2 Tbsp of the brown sugar and sauté until sugar melts and fruit looks glossy, about 1 minute. Turn off heat under pan. 3. In blender, whirl milk, flour, eggs, remaining 1 Tbsp of brown sugar, baking powder and vanilla until blended. 4. Immediately pour egg mixture over fruit. 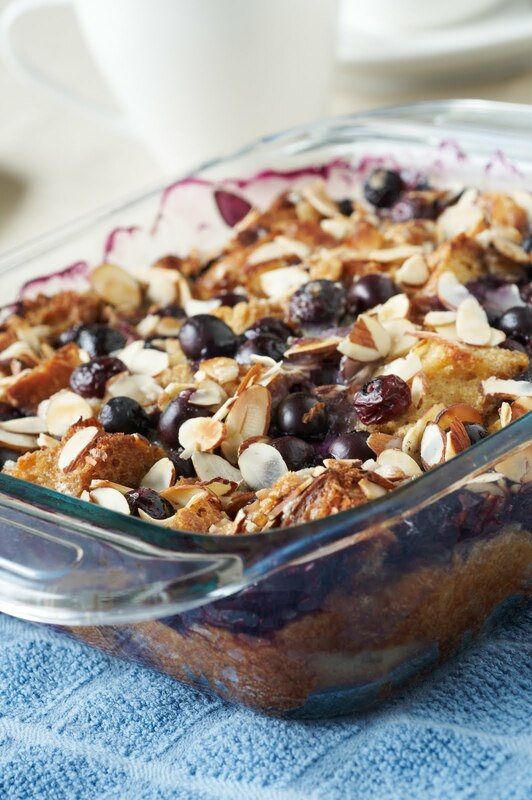 Scatter berries on top of batter and place pan in oven. Bake until puffed and golden, 20-25 minutes. Remove from oven and cut into wedges. Dust with powdered sugar or drizzle with maple syrup. Nothing is better, or easier, than a quick chicken recipe on a Tuesday night. We picked this out on the weekend and planned ahead Monday night to start it, which is key for this recipe to be “quick” when you are hungry. Make the sauce/ marinade tonight, seal it up with your chicken, and toss in the fridge to cook tomorrow. We paired this with some fresh roasted asparagus (which cooked in the oven while we used the lower broiler for the chicken) and some fresh bread to round off the meal. 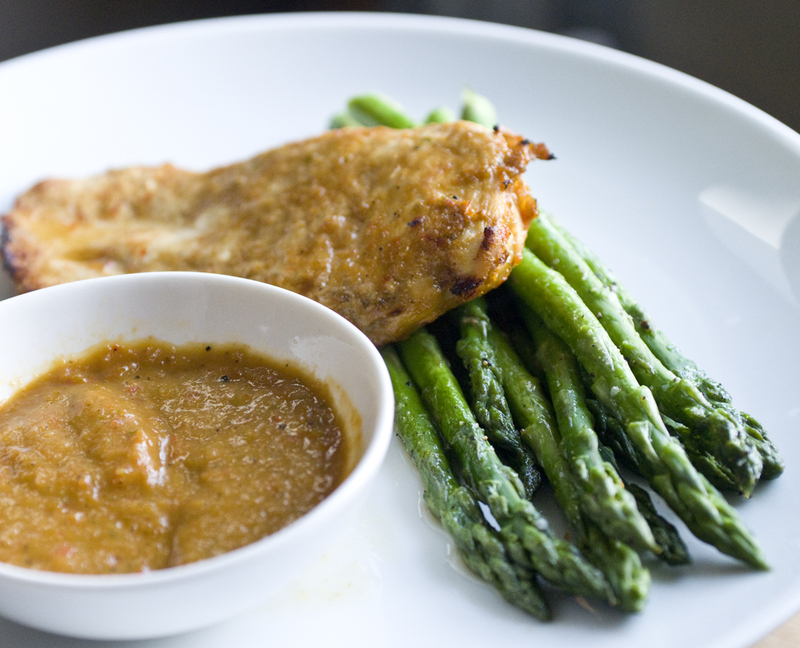 The sauce has a nice smokey aroma, but the flavor is a great balance of sweet, savory and tangy all at once, plus our idea to marinate it over night lended itself to very tender moist chicken. It wasn’t spicy which is deceiving with all the peppers in there. Cooking it in the broiler on foil meant easy clean up and super fast cooking time. This recipe serves 8, but we froze half the sauce and placed it in the freezer for next time, using 2 large chicken breasts split or butterflied in half again to make (4) 4 ounce chicken breasts. Put 1 cup of the barbecue sauce into a sealable plastic bag with the chicken and marinate over night or for at least 1 hour. Preheat the broiler. Put the chicken on a broiler pan and discard the marinade. Broil the chicken on high for about 12 minutes, turning once. Let the meat rest for 10 minutes before slicing. Spoon about 1/2 cup of barbecue sauce over the meat slices and serve. Spray a 8 by 8-inch baking pan with cooking spray. Arrange the bread in a single layer in the baking pan. Whisk together the eggs, egg whites, milk, vanilla, cinnamon and maple syrup. Pour the egg mixture over the bread in the pan, spreading it around so the liquid saturates the bread. 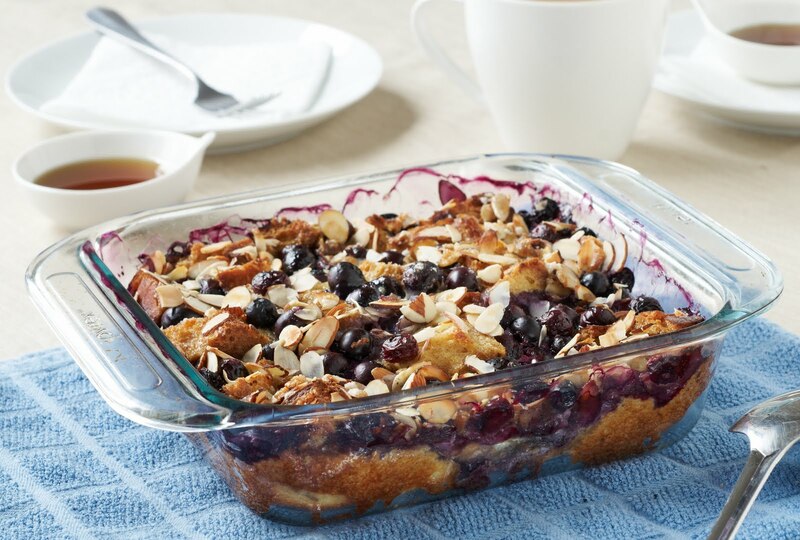 Scatter the blueberries evenly on top and sprinkle with the almonds and brown sugar. Cover and refrigerate overnight. Cut shortening and flour in a large bowl with a fork. Add water in till the dough starts to form, then divide the ball in 4 even sized balls, roll out 2 balls individually into 1/4″ thickness and press in to pie plates, trim pastry edge around pie plate. Roll out the remaining balls into 1/8″ thickness and use cookie cutters in desired shapes to place on top of pie after filling. In a large mixing bowl stir together sugar, tapioca, salt and nutmeg. 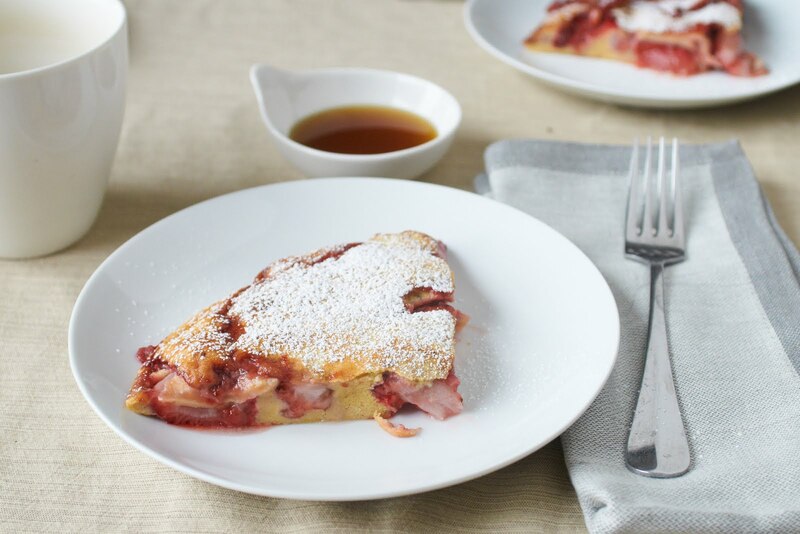 Add rhubarb and strawberries; toss to coat fruit. Let mixture stand for 15 minutes. 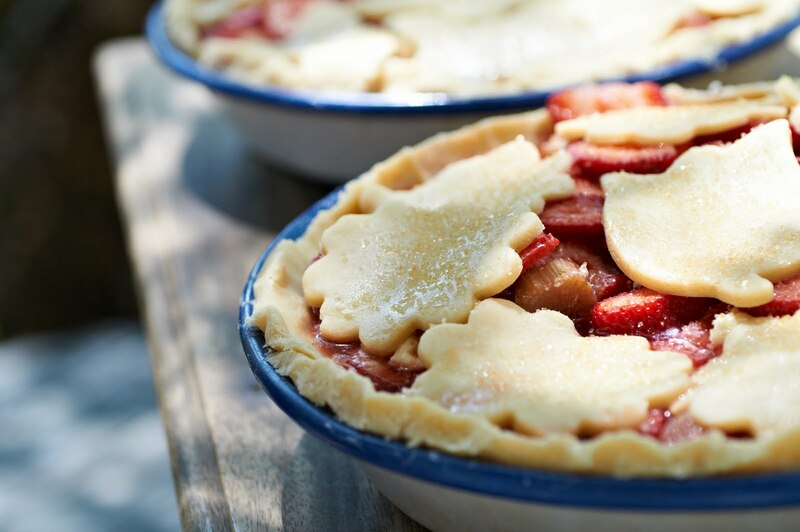 Pour fruit mixture in to lined pie plate, dot with butter, cover the pies with a layer of cut shapes, sprinkle with raw sugar. To prevent burning, cover the edges of the pies with foil. Bake in a 375 degree oven for 25 minutes; remove foil and continue to bake for 20-25 minutes more or till crust is golden. 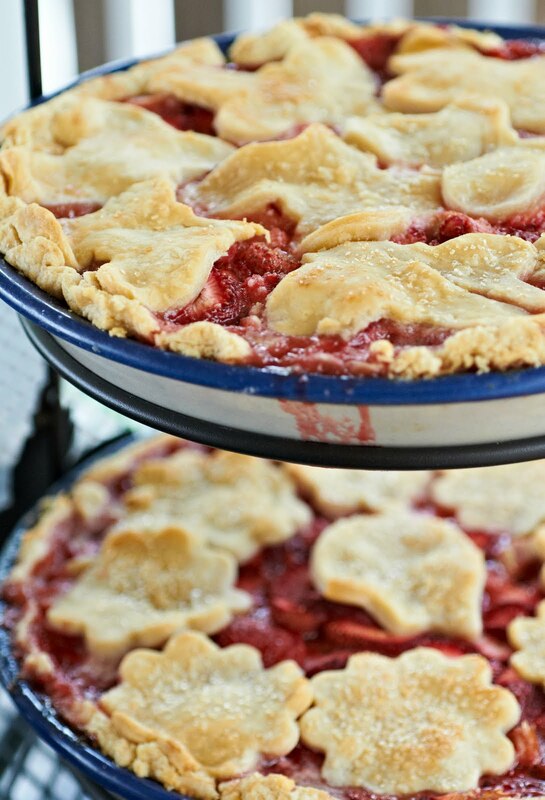 Cook pies on a rack before serving! Preheat the oven to 425 degrees F. Put the carrots into a large pot and the beets into another, and add enough water to cover them. Season with salt and bring to a boil. Cook for 15 to 20 minutes until just tender, then drain and place in separate bowls. Peel the beets, and cut any larger carrots and beets in half or into quarters. Smaller ones can stay whole. Add the flavorings while the vegetables are still hot. Toss the carrots with half the smashed garlic and a drizzle of olive oil, then lightly season. Add the orange juice and the thyme leaves and toss again. Mix the beets with the rest of the garlic, the rosemary, balsamic vinegar and salt and pepper. You can now put the vegetables together on a large roasting pan with the carrots in 1 half of the pan and the beets in the other ( view photo above). Place in the middle of the preheated oven and roast for around 1/2 hour or until golden. 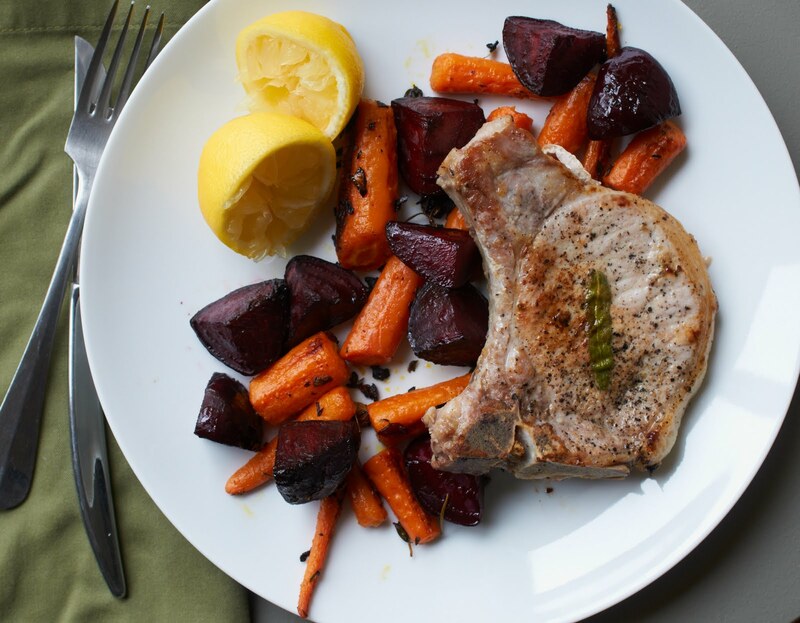 While the carrots and beets are cooking, lay the chops on a board, firmly press a sage leaf onto the eye meat on both sides of each chop. Season with salt and pepper. When the vegetables start to color, heat a large ovenproof frying pan on the burner, add a good glug of olive oil and put in the chops. 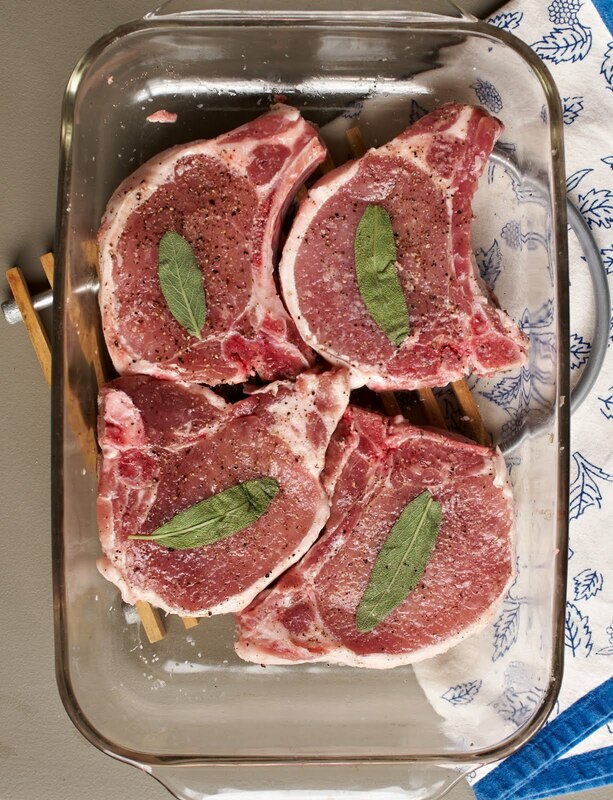 As soon as you’ve got nice color on 1 side, turn the chops over and place the pan in the oven for 10 minutes, or until the chops are crisp on the outside and just cooked through and juicy in the middle. Remove the chops to a warmed plate. Pour most of the fat out of the pan and add a squeeze of lemon juice to it. Stir and scrape the lovely sticky bits off the bottom and drizzle all over the chops. 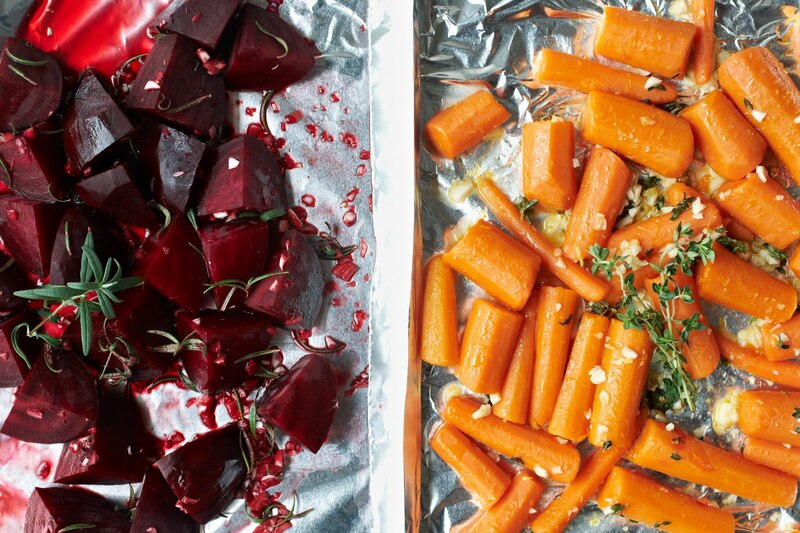 Remove the carrots and beets from the oven – they should be nice and sticky by now.